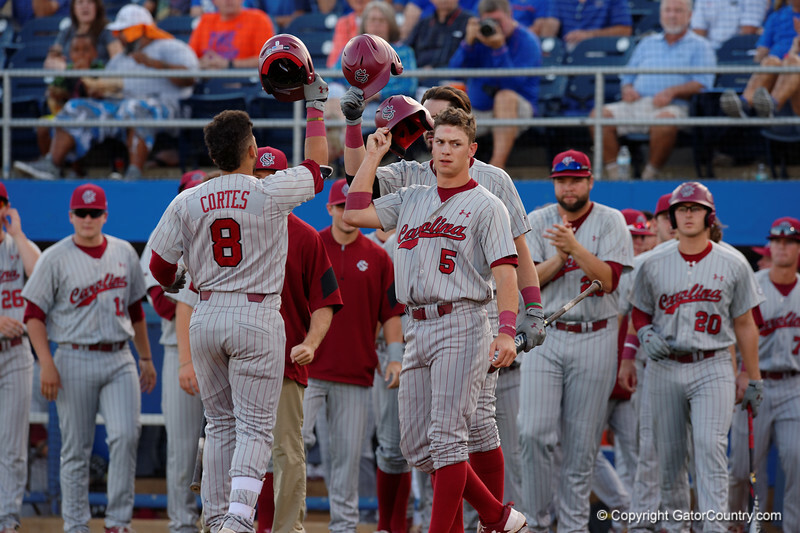 South Casrolina outfielder Carlos Cortes rounds second base after putting the Gamecocks up 2-0 with a monster home run as the Gators fall 4-2 to the South Carolina Gamecocks at McKethan Stadium. April 21st, 2017. Gator Country photo by David Bowie.